They say breakfast is the most important meal of the day, and that is especially true when you have hours of fun ahead of you. 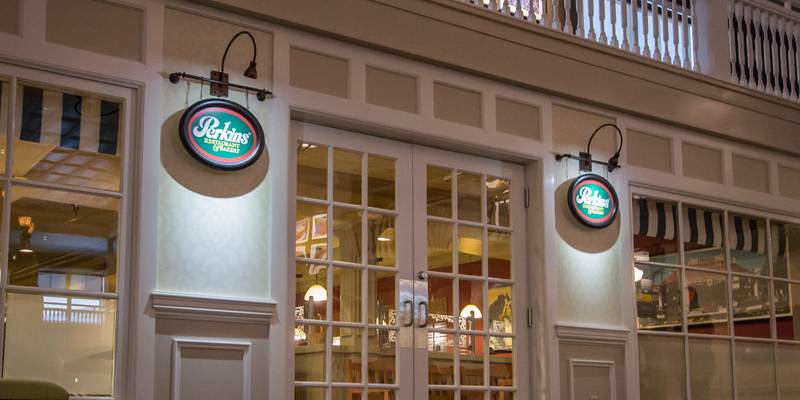 That is why Perkins is the best place to start your day. Farm fresh omelets stuffed with savory ingredients are sure to get you started on the right foot. What’s a breakfast without a little syrup spilled? Cover your pancakes and waffles with the perfect amount of sweetness, with a side of bacon and hash browns. Don’t limit breakfast to just the morning because breakfast favorites can be enjoyed all day long. Lunch and dinner features fresh salads and soups, signature burgers and handcrafted sandwiches. A wide variety of options offers something to satisfy any hunger. Conveniently located in the Hotel Breakers lobby, this family friendly choice is just steps away from the park.